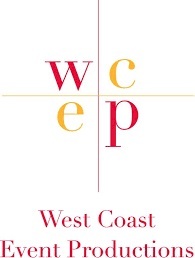 West Coast Event Productions, a full service event planning and catering company, was created in 1993 to bring a new dimension of high-end catered events to the table. They realized that customers want fresh, uncomplicated foods, made from scratch. They listen to the requests of their clients closely so they can create a menu that fits each event.